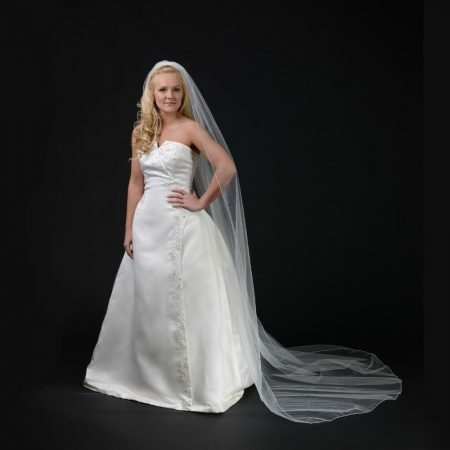 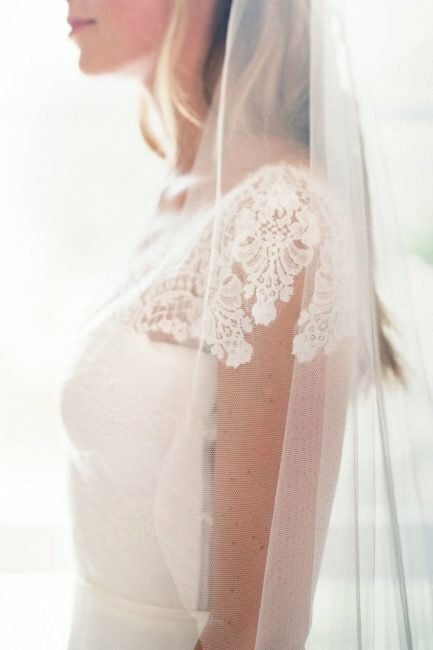 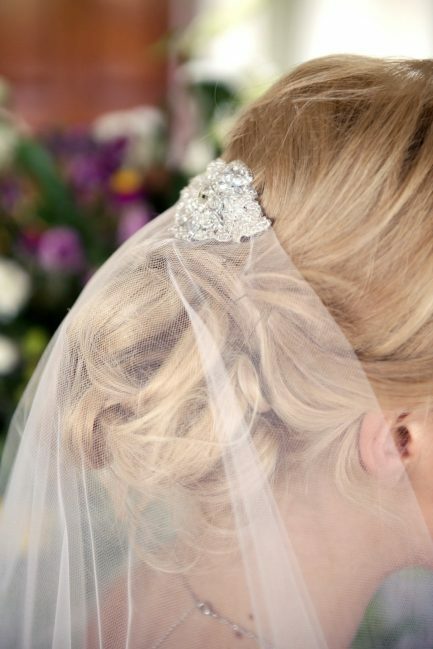 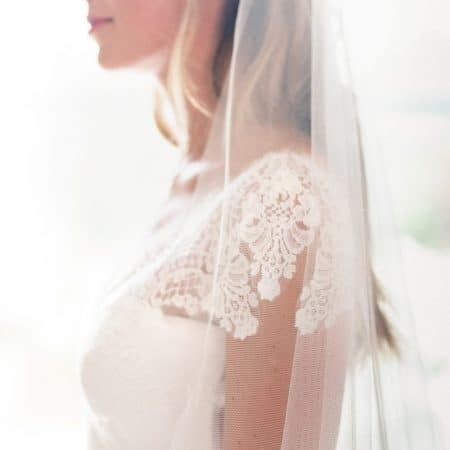 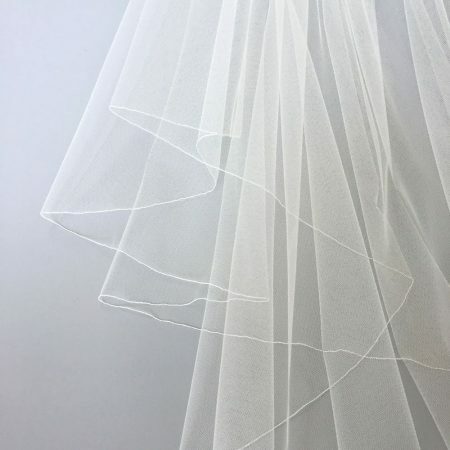 Eliza is a single tier floor length wedding veil with a 7mm satin ribbon edge finish. 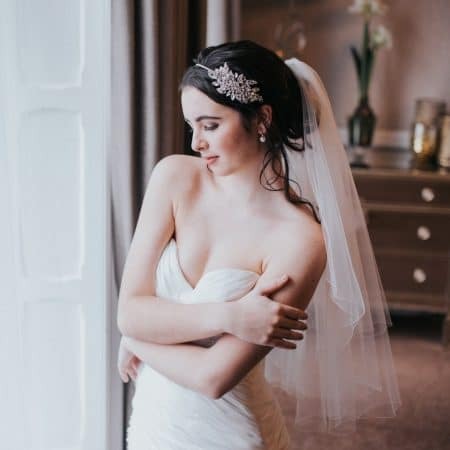 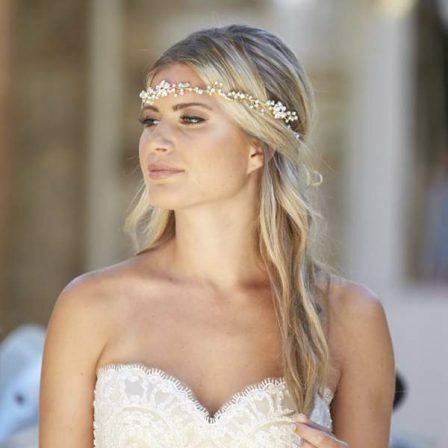 The Eliza veil has an eye-catching 7mm wide ribbon trim and falls beautifully in a sleek column. 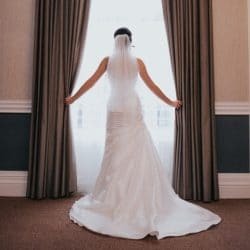 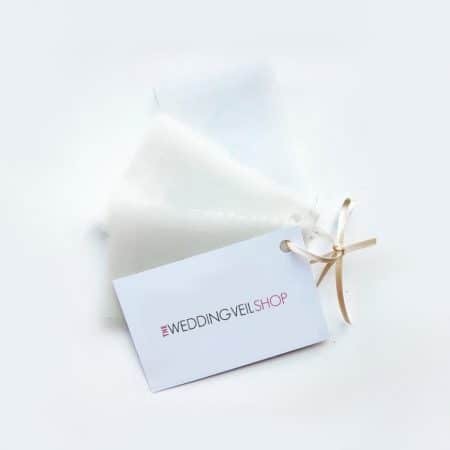 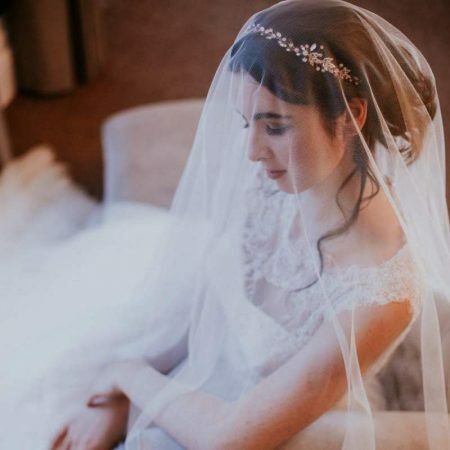 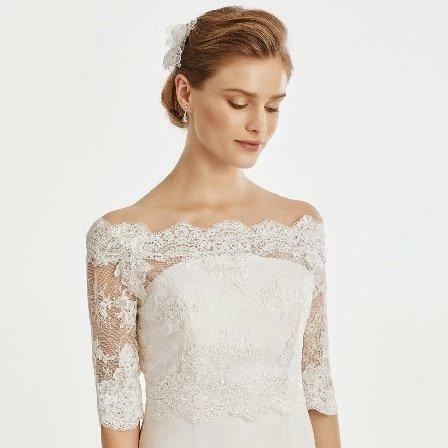 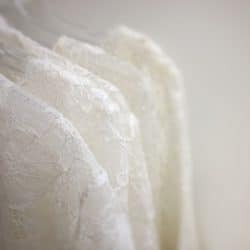 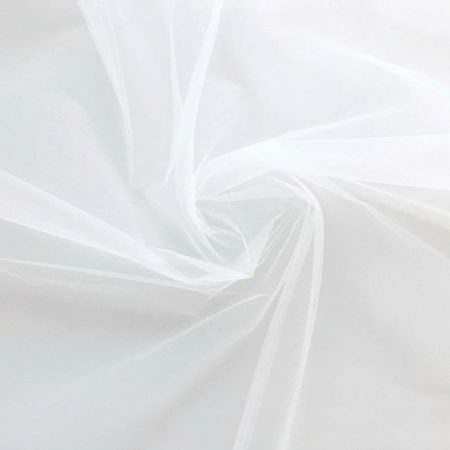 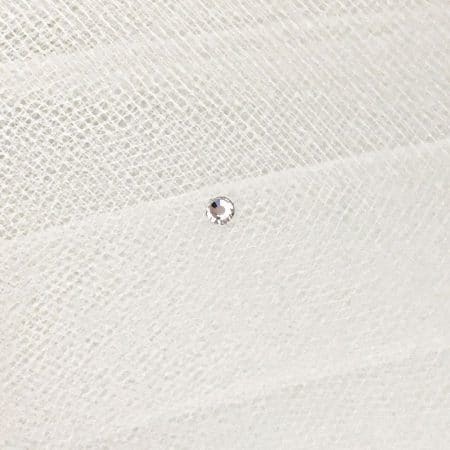 Our floor length veils are 78″, or 6 foot 6 inches, so depending on how tall you are, you’ll be able to work out how much of a trail you’ll have with our floor length veils.